Dentures are prosthetic devices, and they are custom made to replace missing teeth. Partial dentures are designed to replace some missing teeth. Complete dentures are fabricated when a patient is missing all teeth on either arch. 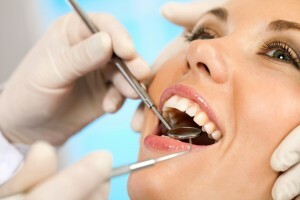 Dentures can be removable, or fixed. Fixed partial dentures are typically a combination of a bridge and crowns fitted over neighboring teeth. Fixed partial dentures tend to be more stable than removable ones. Dr. Nazareno is one of the Fremont dentists who offer dentures to their clients. If you have lost significant number of teeth, call Dr. Nazareno at 510 744 1300 to schedule an appointment. We recommend daily cleaning of your dentures. Just as they do on natural teeth, plaque and tartar can build up on dentures.